i have always wanted to make a cupcake stand, not really sure why (maybe because most are very plain looking, but the justification for creating one is not really there – because we don’t eat that many cupcakes to have a stand). 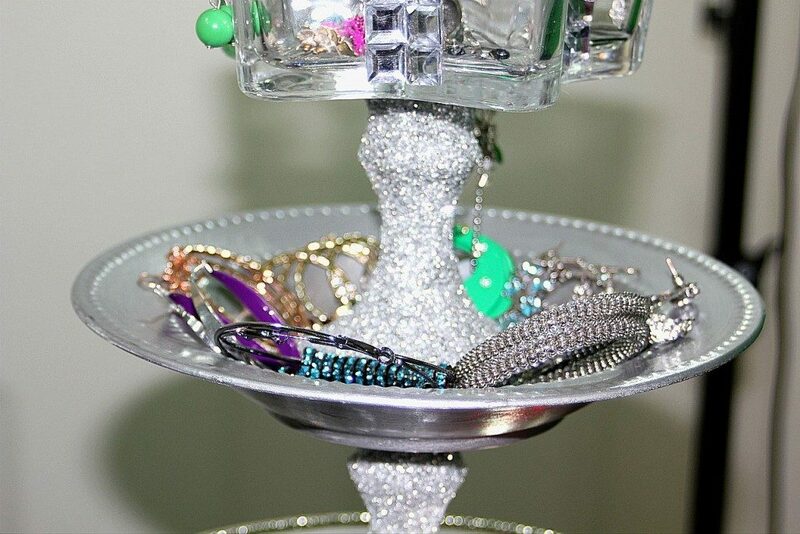 so instead, another thought popped to mind “wouldn’t it also be cute as a jewelry stand?”. “honey! grab the keys, your taking me to the dollar tree!” (we just moved to cali, and i’m very allergic to this west coast driving frenzy, so my hubby is also my chuffer =). readers! 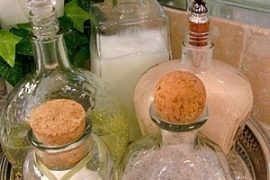 do not go out and buy expensive, overpriced, items for your diy projects, if you have a dollar tree, silver dollar, or everything’s just a dollar store – these are the places you want to tackle for most of your diy items. save your money! 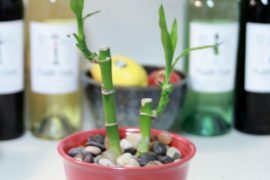 and make these cheaply made products a well appreciated conversation piece. screw the saying “you get what you pay for”, i’m going to show you how to make what you pay for “what you want it to be and so much more”. a little time and patients will be your magical wand to turning what most see as junk into treasure. after carefully combing the aisle at my local dollar tree, i finally found all the items i would need to make this project a success. 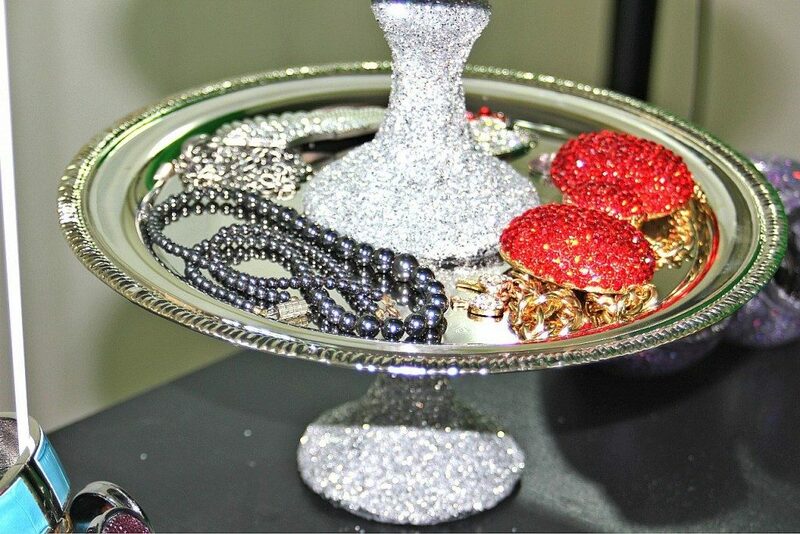 my thoughts for this jewelry stand was to be very blingy (not sure if that’s a word, if it isn’t – it is today.) 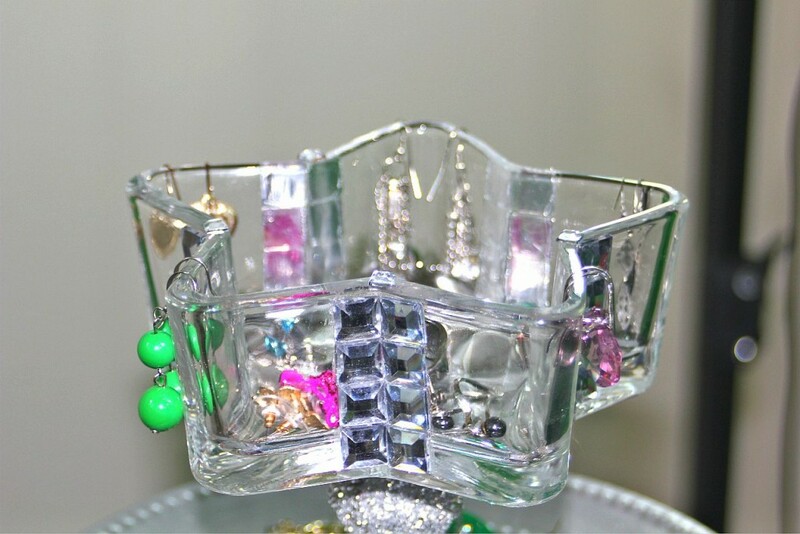 this stand needed to be silver with a clear glass star dish at the top. 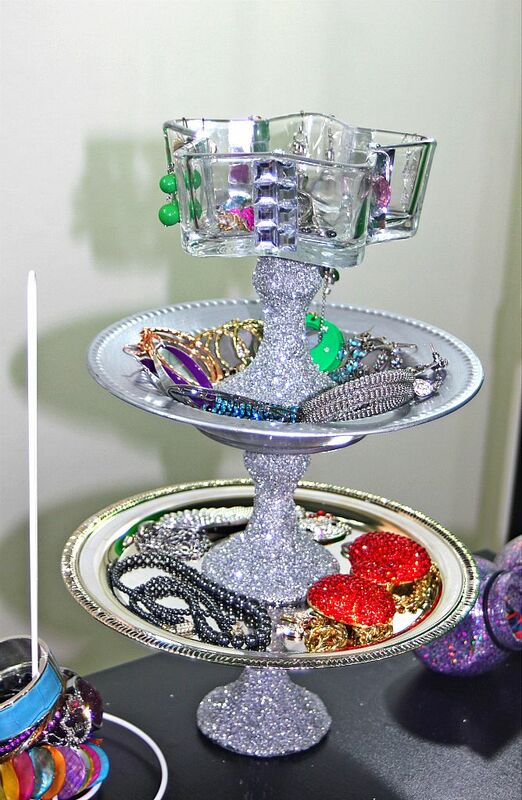 the dollar tree had this perfect shiny silver plate for the bottom of the stand, but i could not find a smaller one to interact as the 2nd tier to add more definition to the design of the jewelry stand. it wouldn’t look right in my eyes if the plates were identical in size. what am i going to do?? 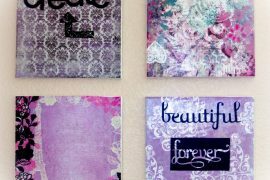 readers, this is where you have to dig deep into your diy imagination and just get flat out creative!